Leaders are expected to produce positive results for the organization. They do this by achieving their personal goals and objectives while leading their team to do the same. Effective leaders focus on the competencies that lead to positive results. While having proficiency in a broad range of competencies helps to achieve positive results, we have found that 8 competencies are directly tied to achieving individual and organizational goals and objectives. 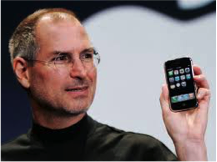 When we think about leaders that have achieved positive results, these three leaders come to mind: Steve Jobs (Apple), Bill Gates (Microsoft) and Vince Lombardi (pro football). They may have had issues in some other competency areas, such as people skills, but we consider them a great example in this area because they produced positive results. In our research for The Leadership Compass: Mapping Your Leadership Direction, we identified 8 competencies critical for achieving positive results. The most successful leaders focus on their strengths in these competencies and developed in their weak competencies. Each of these competencies relate to our ability and skill in getting things done that produce positive results for self, organization, and multiple stakeholders. Business Development. As leaders progress in their career, they become increasingly responsible for business development activities to grow the company or organization. It is essential for the viability and growth of any business. Even if not directly responsible for business development activities, leaders are often called upon to support these activities through customer meetings, proposal development, and strategizing for growth. Commitment to Quality. Effective leaders do more than simply pay attention to the quality of their individual work; they set the standard for the organization. Leaders must set high expectations for quality and hold others accountable for meeting quality expectations. Leaders look for ways to improve product or service quality and seek feedback from customers about their organization and the quality of their products or services. Customer Focus. Leaders understand that without customer focus their business will not achieve growth. Moreover, it is leadership that sets the example for this competency to create a culture that even the newest member of the organization realizes their role is important and they need to be proactive in their customer-focused behaviors. (See Customer Focus the SID Way: A Workbook for Leaders and Managers). making decisions and communicate their decisions to their team with clarity and decisiveness. Financial Management. 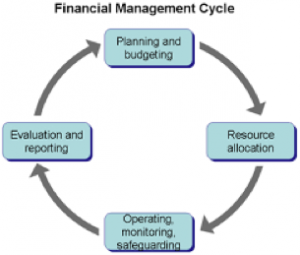 Leaders typically have financial management responsibilities, such as forecasting, budgeting, and stewardship for the financial management of projects. Unfortunately, because leaders are often chosen from technical fields, their understanding of financial management is often a major weakness. We strongly recommend that entry-level leaders especially focus on learning the intricacies of financial management and its impact on the organization. Focus on Results. Leaders are measured on results and their attention should not stray far from achieving the expected results for their position. Being focused on results is related to other competencies, such as planning, time management, and influencing. A leader’s time should not be wasted. Effective leaders know what results are expected and pursue them with purpose, focus, and integrity. Technical Skills. This competency means that leaders have the knowledge, skills, and experience in their chosen field. It means that they also know what technical skills are required for their position that may different then their educational background. We should always be advancing in the technical skills required to do our job and to maintain our currency in our technical field to achieve credibility with our team members and customers. Time Management. 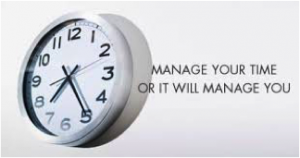 Almost every leader struggles with time management. 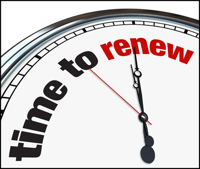 Time is limited and once spent, it cannot be regained. Leaders should analyze what will help them be more effective with their time. (See Time Management the SID Way: A Workbook for Leaders and Managers.). Meeting management is a critical component of this competency and the most effective leaders ensure that meeting management is a critical focus in the organization. Positive results are essential to the success of every leader. Consider each of the competencies supporting positive results. How does your performance stack up in each of these areas? Are you getting the results that will position you for advancement? If not, this group of competencies should be your primary focus for development in 2016. Adapted from The Leadership Compass: Mapping Your Leadership Direction. Take a short online self-assessment of the competencies described in this blog to identify your strengths and areas of improvements in these 8 competencies.